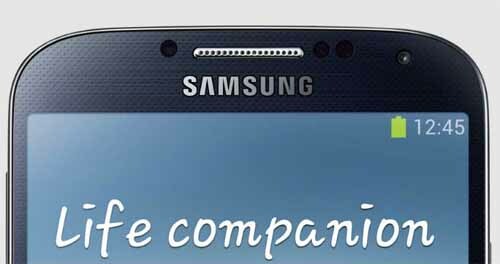 While the Samsung Galaxy S4 is powerful enough for a smartphone, there is no guarantee that it will function as expected. Just a few months after it was released, hundreds (if not thousands) of owners were already complaining about the problems they've encountered with their device. One of our readers, a Sprint customer, emailed us recently asking why he cannot connect to Sprint's 4G LTE network. He bought his unit from Best Buy and he already received a replacement after reporting of the problem. The funny thing is, the replacement acts the same way as the first unit. He tried calling customer service hotline but the representative said the tower in their vicinity was currently being upgraded. The funny thing is, he has other 4G-capable phones that could connect to the network just fine. Oh well, I'm not saying that it's just one of the alibis of the rep because he / she doesn't really know what's the problem with the phone or their network. For this kind of problem, however, we have our own recommendations on what to do to remedy it (hopefully). Other carriers may have installed their own apps on the phone for optimization. In this case, it's the Sprint Zone app that we are going to use. 2. Find and tap Sprint Zone. 3. Once opened, find and tap Help. 4. Now tap Dashboard, then, Data Network to display your data connection status. 5. Tap Update Profile, once finished tap OK.
6. This time, try to check if the problem was solved. If this procedure fails, there's nothing much you can do but do a soft reset. 2. Take the battery out for 1 minute. 3. Reinsert the battery and turn the device on again. 4. Check if the problem was solved. If the problem still persists after this, never do anything like rooting the phone or installing a custom ROM. Instead, have (demand) an appointment with a Sprint technician and have the phone checked. Most likely, the tech would reset the phone to its factory settings so you better make a backup of everything valuable in your phone.